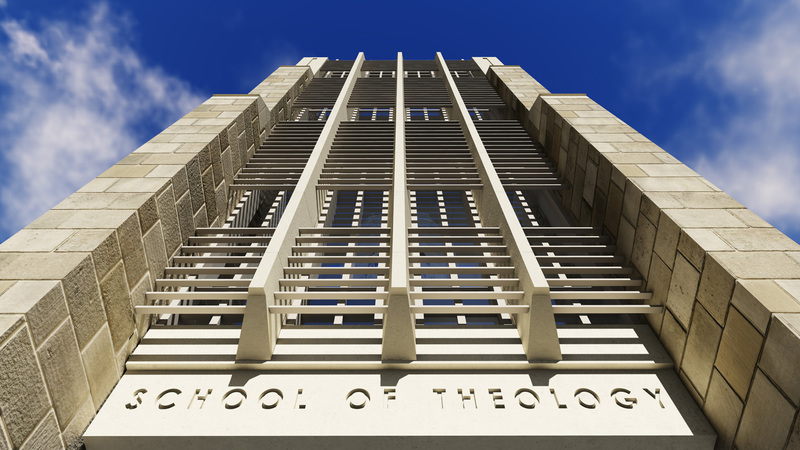 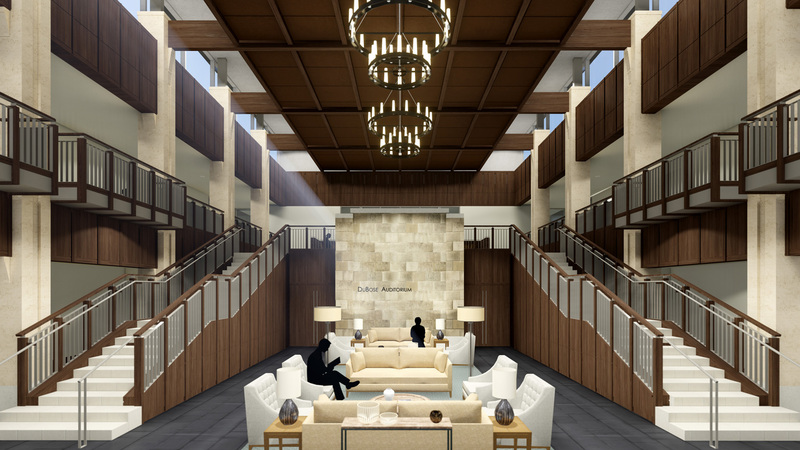 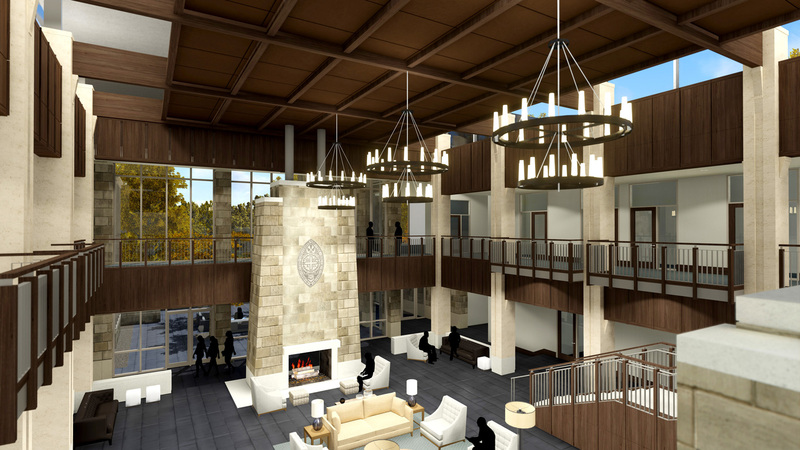 In anticipation of the school’s move back to the central campus, Sewanee commissioned Wier Boerner Allin Architecture to design a concept for the School of Theology at Sewanee | The University of the South. 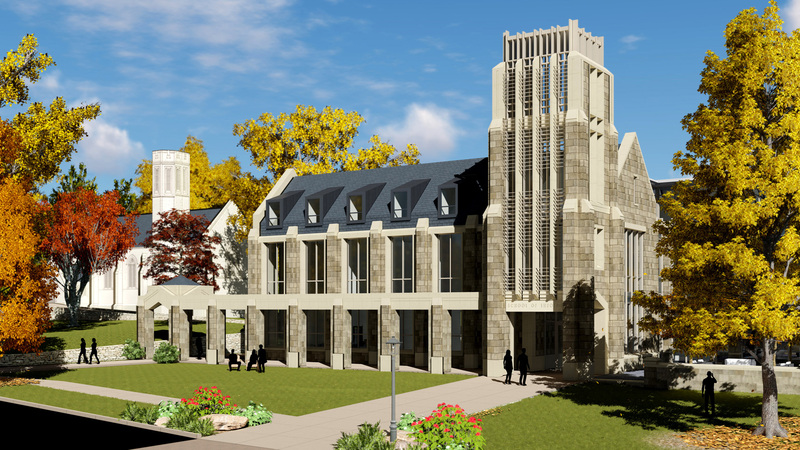 The primary challenge of this project was to synergize modern design with the 150-year-old campus. 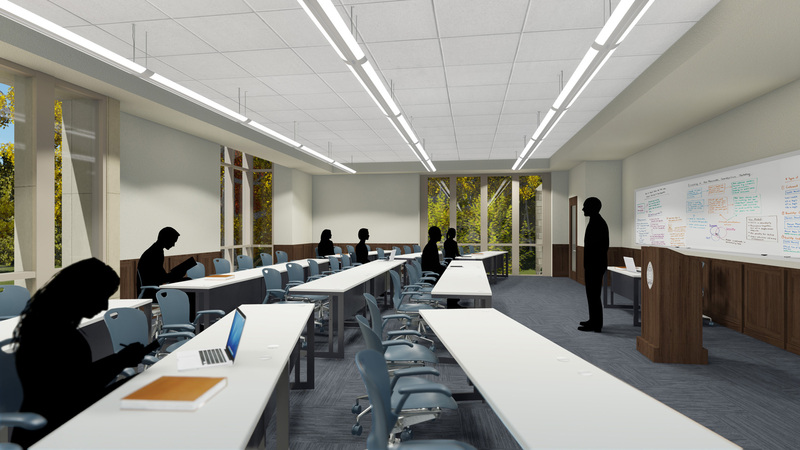 Our solution reinterprets vernacular forms and materials to create a building that complements an established aesthetic while positioning itself in the 21st century. 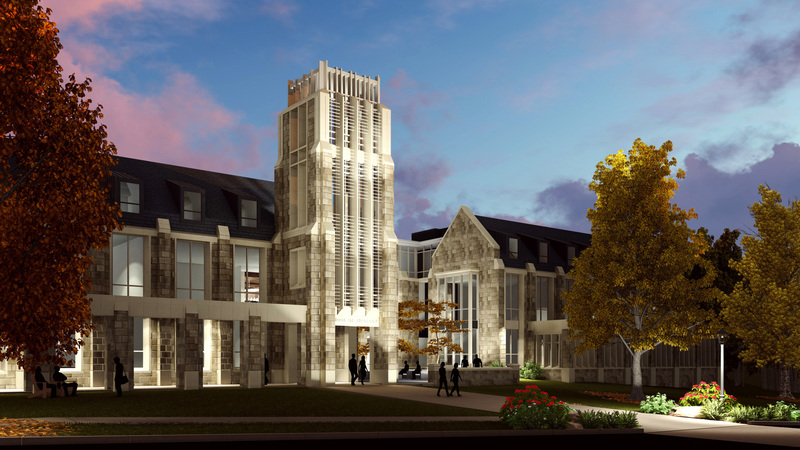 Wier Boerner Allin architects designed a concept that created a strong visual presence on campus, facing the campus’s academic heart, while allowing vehicular access for program attendees. 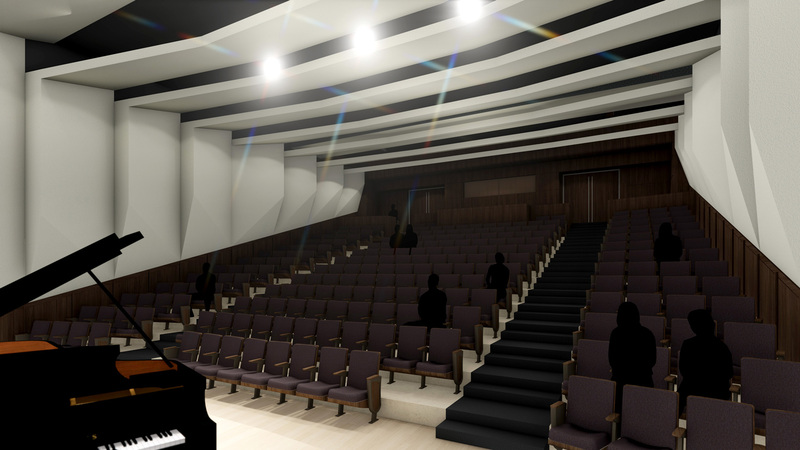 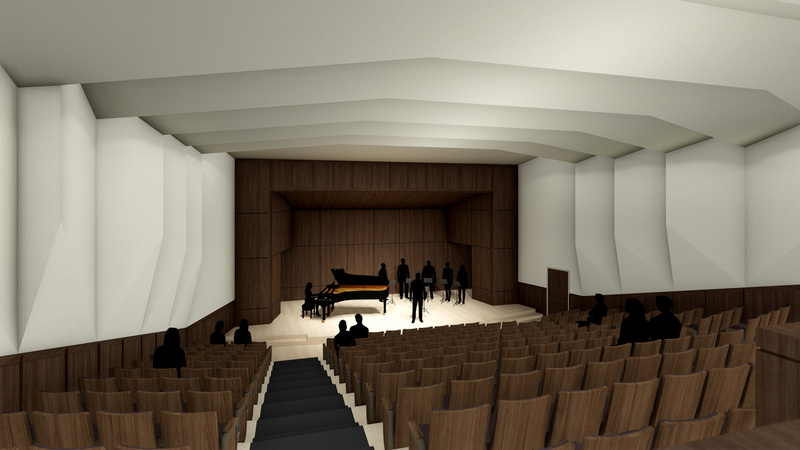 The design concept features both seminary space and a programs center, centering on a multistory living room that doubles as prefunction space for the 200-seat auditorium.